July is a long way off, but I am ready. 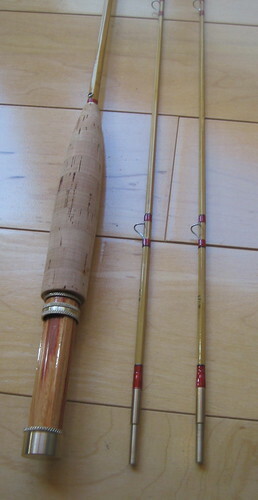 Last summer, local rodmaker Bob made a 6’7″ 3wt rod that I really liked. 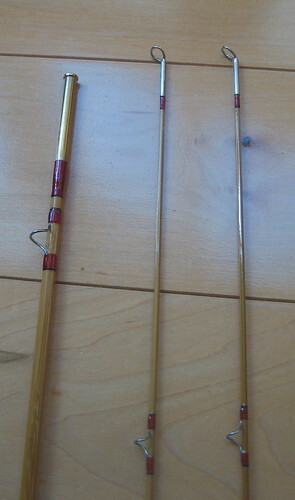 So he and I did some bartering and I wound up with this near copy of his rod. I made the reel seat hardware and the ferrules from Duronze (c642 aluminum bronze). 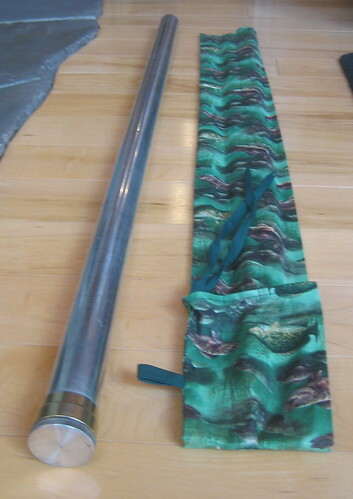 Bob’s wife Linda made a rod bag for it, then friend Steve donated a vintage rod tube. Not bad for a zero cash transaction. 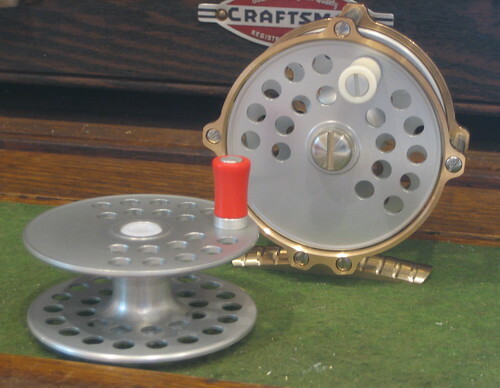 Just today I finished a bronze reel for the new rod. The wooden insert of the rod and the reel knob are both Brazilian tulip. 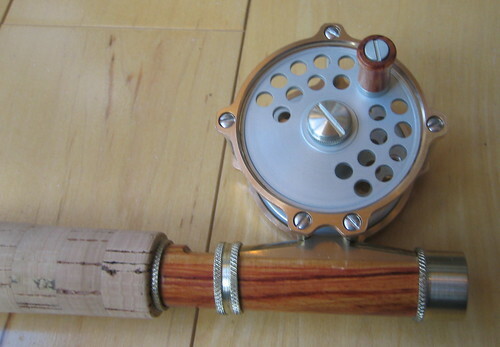 Earlier this week I shipped the first bronze reel of 5 weight size. It has two spools. This entry was posted in Rods. Bookmark the permalink.